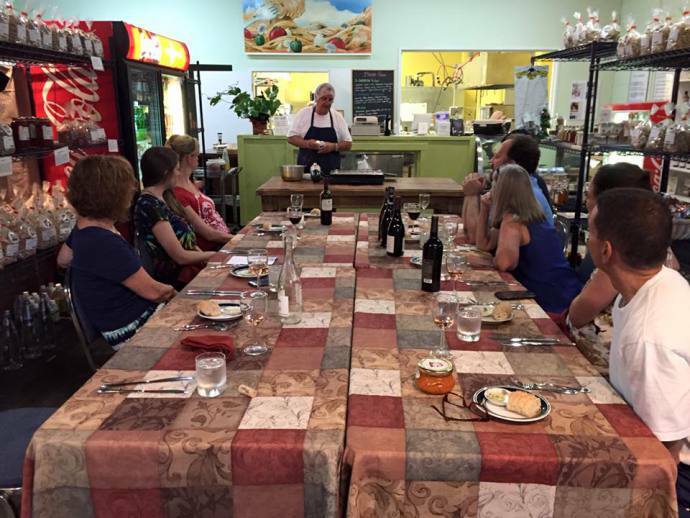 On June 25th, 2015, blogger Wendi Nitschmann wrote a wonderful and detailed article about the inside of a Cooking Demo here at FraLi Gourmet with Franco and Lisa. If you want an inside look on what we do and how we like to have fun, take a look at the article here. We are so happy to have such great customers such as the ones we had that night. We love to be able to joke around and make others laugh while giving them great recipes and tips to bring home for their family. Stay connected via social media and our website calendar to find out when our next cooking demo is. You can also call for more information! Like she said on her blog… You won’t regret it!